Ultimate Textile Raccoon Animal Print 60-Inch Round Tablecloth by Ultimate Textile at Animal Backgrounds. MPN: PWG1-60R-083. Hurry! Limited time offer. Offer valid only while supplies last. These pattern printed 60 Inch Round Tablecloths are designed to be wrinkle and stain resistant and feature a seamless design with serged edges. 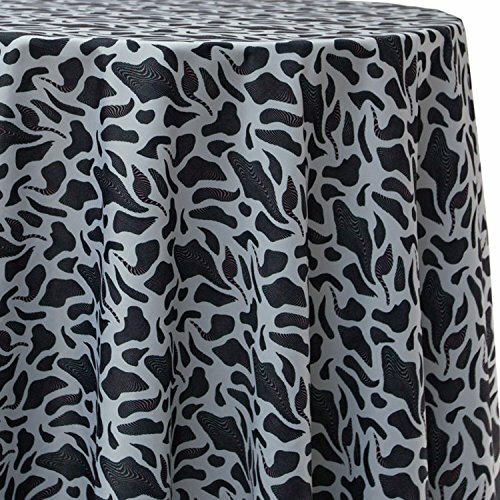 These pattern printed 60 Inch Round Tablecloths are designed to be wrinkle and stain resistant and feature a seamless design with serged edges. Because the table cloths are made of durable polyester, they are machine washable and can be used countless times. The 102 inch Round Amalgama Muse Tablecloths are an excellent choice for your wedding, party, home dining, Christmas and Thanksgiving dinners and other special events. Due to variations in computer monitors, colors shades may vary in appearance from screen to screen. Please search Ultimate Textile for matching and complementary items in all shapes and sizes.